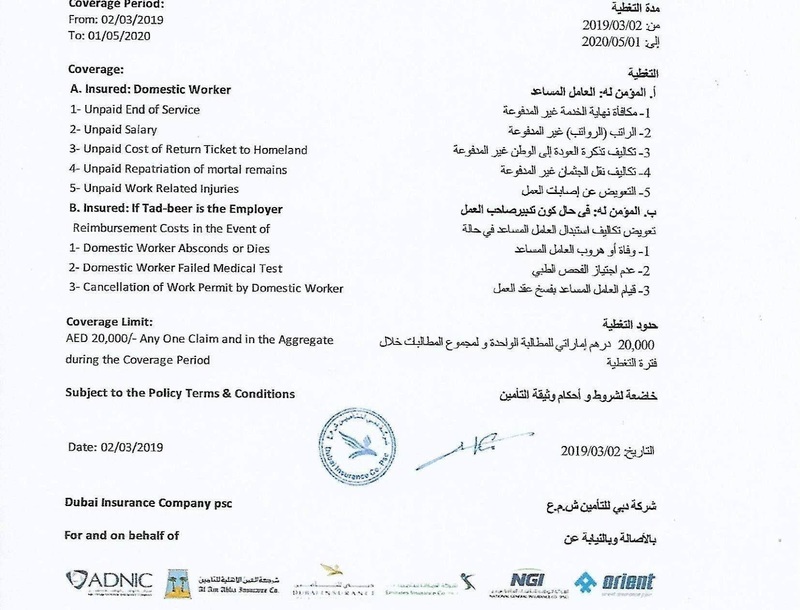 Do you know when a domestic worker wanted to get employment visa he/she should get a copy of contract which cover Domestic helper insurance policy of 20,000 AED? This contract should be given to all old domestic workers upon renewal of their contracts, simply who is already working in UAE will also get the copy of contract. AED 20,000 any one claim and in the aggregate during the coverage period. How many Professions are coming under Domestic Workers? As stated above this contract contain important things such as unpaid wages, domestic worker’s end of service benefits, vacation allowance, return air ticket to home country, health insurance, health injuries, overtime allowance if not paid by the employer. So, it is your right to keep the copy of your contract with you, if not yet provided to you ask for it from your employer, agency or TADBEER center by dialing their hotline. If your employer, agency refused to give you the copy of your contract, don’t worry, call direct to Immigration hotline and register complaint.